Offering you a complete choice of products which include agricultural films, agro mulching films and agricultural uv protection films. Best technology for commercial production of high value crops like, fruits, flowers, vegetables, medicinal plants, tissue culture etc. Covering is the most important factor in a green house. Furthermore, physical durability and optical stability are other critical factors. But maximum sunlight transmission, is none the less a very important criteria. 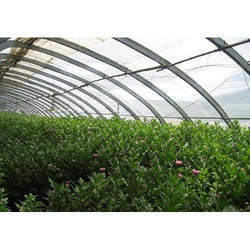 UV Protection Films have already replaced the traditional glasses used in green houses, which are not only risky and short-lived, but also expensive. The polyethylene films are resistant to puncture, rodents and micro-organisms. The smooth, uniform, flexible waterproofing membrane ensures that the tunnel is dry, and hence, lowers its maintenance cost, and extends its life span. We have gained a leading position in the market by offering excellent quality Agro Mulching Films. These Films are made utilizing the best quality polythene sheets and front line innovation in adherence to set industry standards. The offered films are extensively utilized in agribusiness division, for example, in lake lining for keeping the nature a greener place. In addition, our customers can profit these Agro Mulching Films at a reasonable cost. 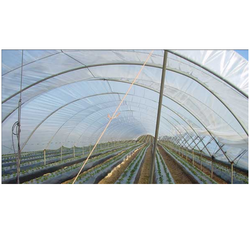 Mono Industries Agricultural UV Protection Films have proven to be highly economical and effectiv in controlled environmental agriculture. This is especially visible i green houses and low tunnels.